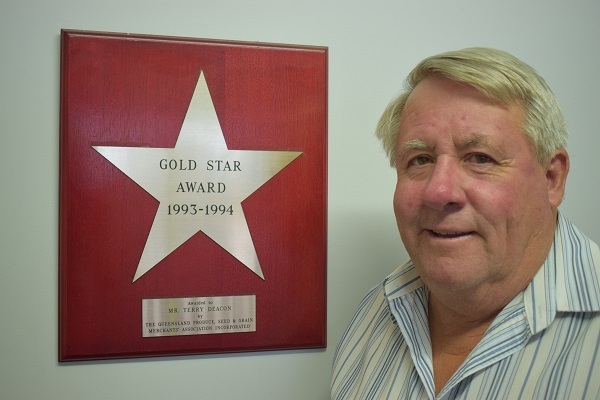 MORE than 50 years in the business of trading millets and a range of other birdseeds has seen Terry Deacon stamp his mark as a key player in the Australian grain trading industry and earn the respected title of ‘the millet king’. It’s a label he bears with pride, a recognition of the reputation and success of Deacon Seeds, the family business his parents, Col and Joyce, started at Dalby on Queensland’s Darling Downs in 1960. Late last year the family drew the curtain on their long-standing involvement in the industry, selling Deacon Seeds to grain exporter, Societa Cofica, who they had worked closely with for the past three decades. While Mr Deacon maintains a connection with the business during the transition period, he now has time to step back and reflect on his, and his family’s, years of involvement in the close-knit industry. “It has been a fantastic industry to me. I’ve enjoyed every minute of it,” he said. “Sometimes you get to work and think there’s nothing to do, then someone rings and you end up doing three deals before you go home. Now 68, Mr Deacon has spent his working life at the family business, starting as a young rouseabout at the age of 16. “I finished my Grade 10 exam in November 1966, went home and had lunch, walked outside and got in the ute and went back to work with Dad,” he said. “For the first part of my career I was the young fellow on the broom and the wheelbarrow. We used to barrow bags of grain around in those days, put them on an elevator and into the trucks. “When I finally got my licence when I was 17 we bought another truck and I did the local farm pickups. That grew and I started to do some interstate runs. While his father was the trader and his mother the bookkeeper in the early days of the business, it wasn’t long before Mr Deacon was called on to take a greater role. “I’d had a lot of farmer and merchant contact and had got to know a lot of people. In 1978 after I’d come back from a run to Victoria my father suggested I get tidied up and come into the office on Monday morning. “You can do the buying” he said. The business had found its niche as a key trader in the birdseed industry – a position it maintains to this day – with millet the trading mainstay. “In those days millet was a bigger industry than it is now,” Mr Deacon said. “There have been some great years in the late 1980s where, for a couple of years in a row, we had an 85,000-90,000-tonne millet crop. The domestic market is probably 25,000-30,000t. So, 50,000t were going somewhere else. 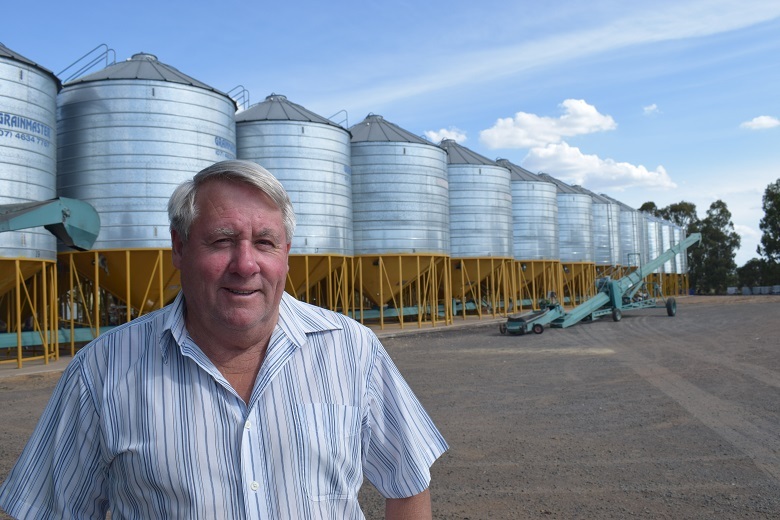 Mr Deacon has been responsible for the trading side of the business while, for the past 37 years, his brother, Graham, who was a spray painter/panel beater by trade, has handled the running of the seed plant and organising deliveries, trucks and containers. Other family members have also been involved in the business over the years. With a long track record of trading, Mr Deacon has some sage advice for newcomers to the industry. “I say to the young people, don’t get too pedantic about making a profit on every deal. You win some and you lose some. It’s like going to the races – if you pick a winner and get a second and third you’ve had a good day, you aren’t going to pick six winners. It is more precise than that, but that is an analogy,” he said. “When you are on the wrong side of the ledger, fix it up as soon as you can because if you wait and think the price will come down, you will be better off trading at a little loss. The market knows when you are hurting. So, your first loss is your least loss. Get out, trade and then you are back in the business. “Dad would say to me: Get into the market. Sell 10 containers of French millet. When the first person comes in with their ice cream container of millet for test, say “here’s my price and I can take delivery of it tomorrow”. He mightn’t like the price, but you can tell him you can take it and you can take it now. That way you get into the market. Someone else finds out they have sold to me, so they will ring me. In more than half a century in business, Mr Deacon has seen many changes – none more game-changing than the exponential development of technology and communications. “Once you would go home and spend from 7 o’clock to half past nine on the phone every night ringing growers. I don’t get too many calls at night-time now, whereas that was part of the trade. Deals are done by text and email nowadays,” he said. Another change has been the move to greater documentation and accountability. “For us it has been a little different to the rest of the industry because we are a family-owned company and have one trader. We didn’t have the need to be so precise on our documentation,” he said. “I could say to someone at the football on a Saturday afternoon I’d give them $500 for their French millet. How much do you want to sell? Righto, that’s a deal. It wasn’t even a handshake. Or I’d go down town to the post office to get the mail and bump into someone, and do some business. Mr Deacon took a keen interest in improving and developing the grain trading industry through an active role in the wider world of grain industry agripolitics. It began, almost by accident, in 1978 when he attended the AGM of what was then the Queensland Produce, Seed and Grain Merchants’ Association (now Queensland Agricultural Merchants, QAM) and came home as a member of the Board at the age of 28. He had a long-standing tenure with the association through until 2004, including president in 1993, 1994 and 1995, and stints as vice president for four years prior to that under Merv May, and for some years afterwards. 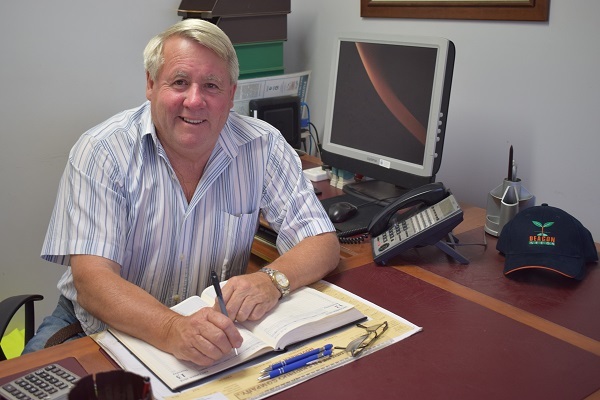 In the second half of the 1990s, with Merv May, Mr Deacon became one of the two Queensland representatives on the newly formed National Agricultural Commodities Marketing Association (NACMA), which later became Grain Trade Australia (GTA). “At the time there were AQIS (Australian Quarantine Inspection Service) issues with the export of grain out of Australia, from boatloads of wheat and barley to container loads of millets, sunflowers, canary seed, sorghum and maize,” he said. As a result, the Government of the day decided to form the AQIS Grains Industry Consultative Committee. Mr Deacon was elected the NACMA delegate to the committee, a position he held for nine years. “They held three meetings a year in Canberra in May, August and early December. It was very important to me because of the development of containerisation, the registration of premises and the inspection process,” he said. Mr Deacon said the formation of the national committee was a great coming together for the grain industry. “It was a great step forward because the industry lost the ‘us and them’. They came from the documentation side and we came from the practical side. We didn’t think they had a clue about the practical side and we felt they enforced too much documentation on us to restrict our business. “Coming from a very small family-owned business, it was good to be there at the coalface because we could have a say in what would and wouldn’t work. “It still happens today. You can go to that organisation and say you want to send French millet into some obscure country. Their job is to then set up the protocols by which it transfers. You need government protocols. I can’t send something to Japan if Japan hasn’t got a government-to-government set of protocols for that product. Mr Deacon said deregulation and the formation of a national body were great for the industry, but there was still a role for state-based organisations. Handing over to the new ownership, Mr Deacon said Deacon Seeds had done a lot of business with the buyer, Societa Cofica, who had been the business’s major exporter for the past 30 years. “We were packers for the export market. That was our relationship with Societa Cofica. Probably 65 per cent of our export birdseed went through Societa Cofica, so we have had a long connection there,” he said. 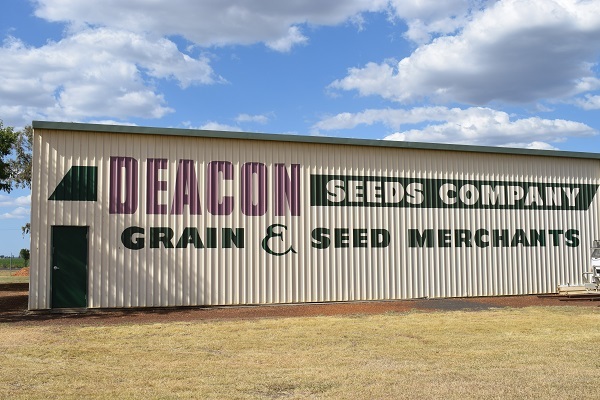 While the business has changed hands and is now operating under the new ownership, the name Deacon Seeds will be retained. New general manager, Mark Schmidt, said they planned to maintain the business’s strong reputation trading in the birdseed market, and expand into the domestic and export mung bean markets.